The great advantage of digital music, at least in theory, is that online music sales and rental means no piece of music ever needs to be made unavailable…. Well, that’s the potential, though licensing problems and torpor get in the way, good news today then is that a new Bob Marley & The Wailers EP, ‘I Know A Place’ is being released for the first time, along with a host of previously deleted reggae albums, compilations and tracks – and all this reggae-reggae goodness is going to be made available exclusively through iTunes. The Island 50th Anniversary Reggae promotion, featuring special offers today through August 17, marks an important milestone for the genre in the download world, the company says. Exclusively available on iTunes and released by Island/UMe will be six “Digital 45s” from the Congoes, Zap Pow and others; a new Bob Marley & The Wailers EP compilation; ten out-of-print albums and previously unavailable digitally from the likes of the Heptones, Wailing Souls, and George Faith; and three new multi-artist collections. The “Digital 45s” (bold indicates a digital premiere) are “Congo Man”/”Congo Man Chant” (Congoes), “Ballistic Affair”/”Ballistic Dub” (Leroy Smart), “Dreadlocks in Moonlight”/”Cut Throat” (Lee Perry), “To Be A Lover (Have Mercy)”/”Diana” (George Faith), “Knockin’ On Heaven’s Door”/”The Dealer” (Arthur Louis) and “This Is Reggae Music”/”Break Down The Barriers” (Zap Pow). The albums debuting for digital download are Night Food (The Heptones), Wild Suspense (Wailing Souls), To Be A Lover (George Faith), Black Roots (Sugar Minott), Classic Rockers (Augustus Pablo), Jezebel and Just In Time (Justin Hinds & The Dominoes), and the compilations Dubmission and Dubmission 2 — The Remixes. The I Know A Place EP collects five tracks Bob Marley & The Wailers recorded with producer Lee “Scratch” Perry. The title track was first issued on the limited edition retrospective One Love in 2001, has been out of print since, and now makes its digital premiere on I Know A Place. “Who Colt The Game” was issued on the bonus disc that accompanied the U.K. edition of One Love and similarly has been out of print; “Smile Jamaica [version]” was culled from the 2001 Expanded Edition of Kaya. And both “Punky Reggae Party” [Jamaican 12″ version] in its full “discomix” and the complete recording of “Keep On Moving” hail from the 2001 Exodus Deluxe Edition. Additionally, three new Island 50th Anniversary – branded 10-track compilations will be issued exclusively on iTunes. Roots Train boasts Junior Murvin, Max Romeo & The Upsetters, Lee Perry, Jah Lion and others. Crucial Classics features vintage recordings from Jimmy Cliff, Burning Spear, Toots & The Maytals, The Heptones and more, while Dreadlocks In Moonlight offers romantic reggae classics from Black Uhuru, Dillinger, Toots Hibbert, George Faith and Gregory Isaacs, among others. 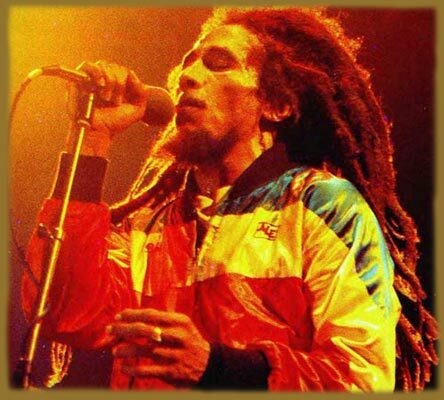 This entry was posted in Apple, Music News, News and tagged bob marley, digital music, Island, itunes, online music on 08/04/2009 by Jonny.